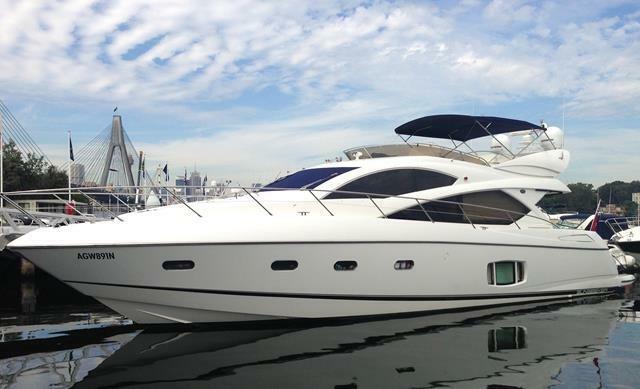 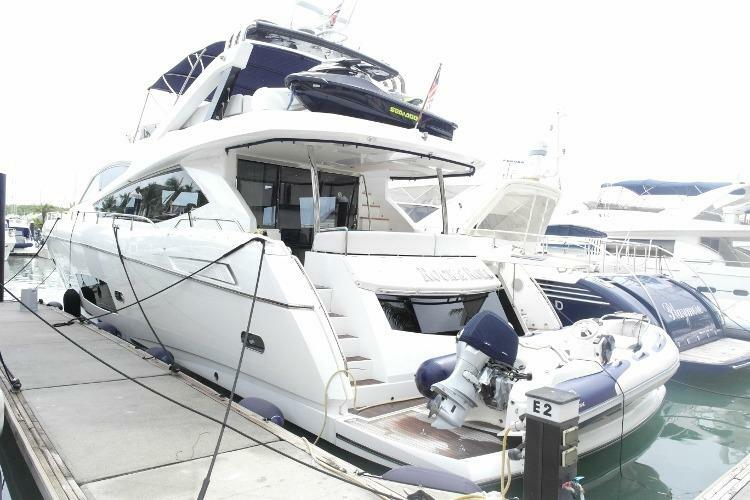 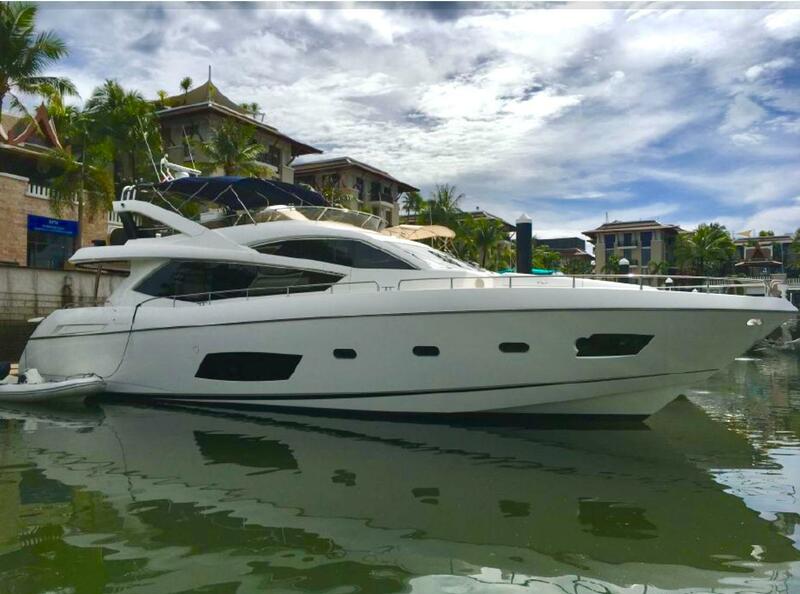 This well known Sunseeker Manhattan 73 from 2013 in Excellent condition, fusion of style and sophistication. 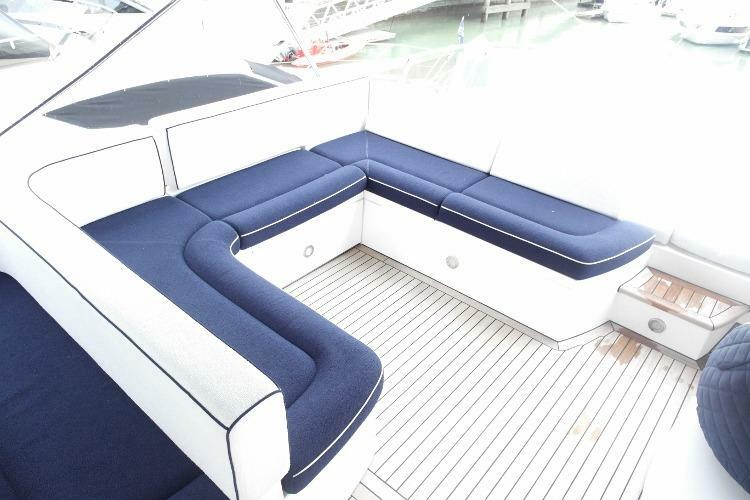 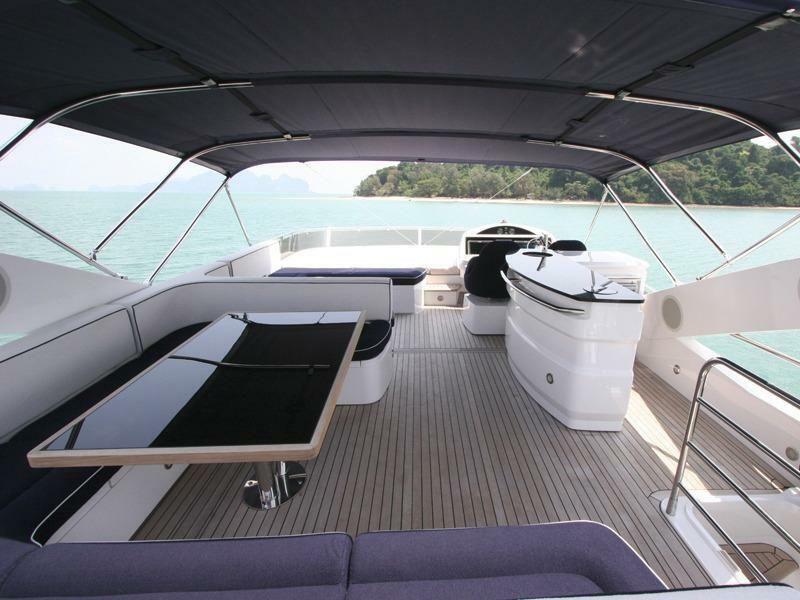 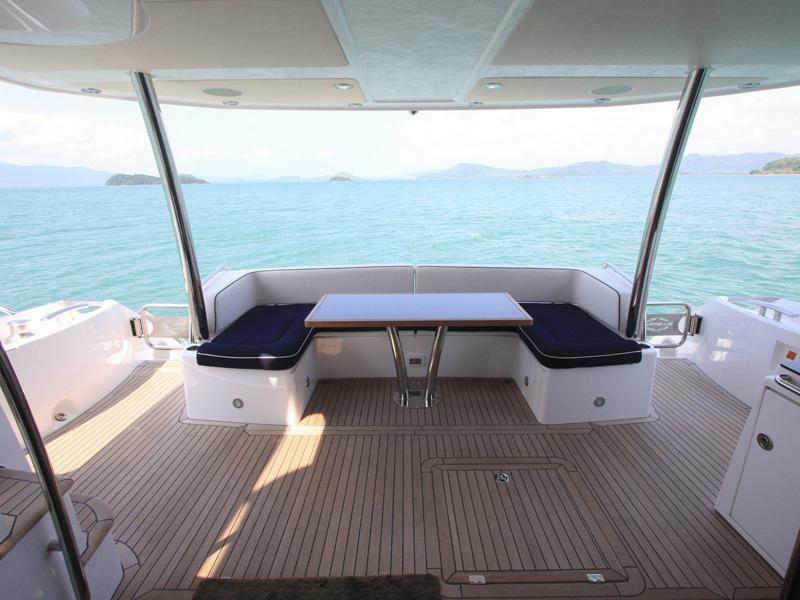 Over three spacious decks, classic design blends harmoniously to exceed even the highest of expectations. 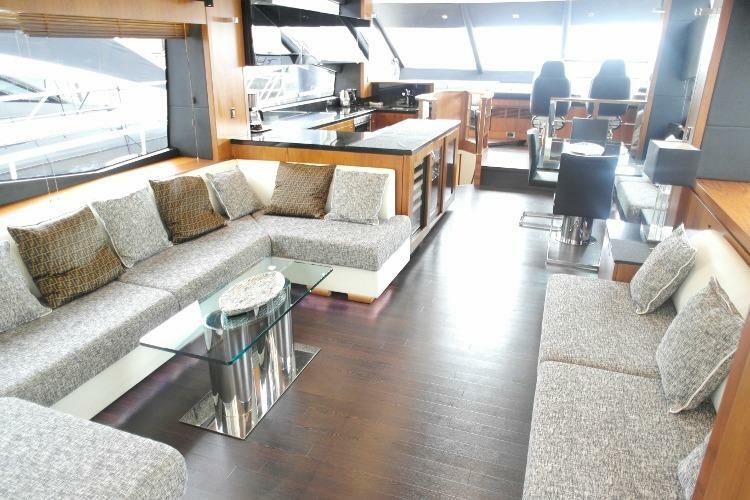 On the main deck, expansive windows allow plenty of natural light to illuminate the open-plan Salon diner. 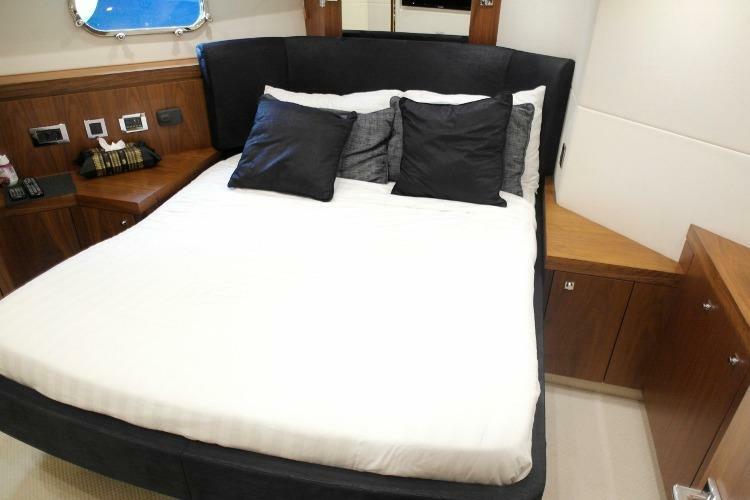 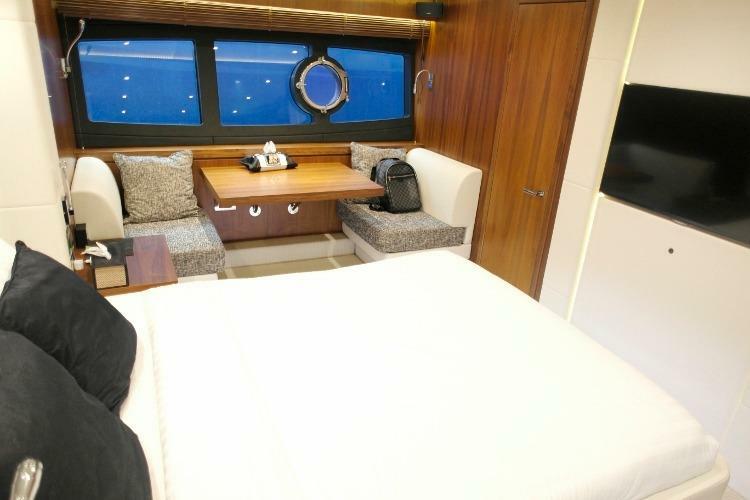 Below deck, three double suites, plus a twin bed guest cabin comfortably accommodate up to eight guests. 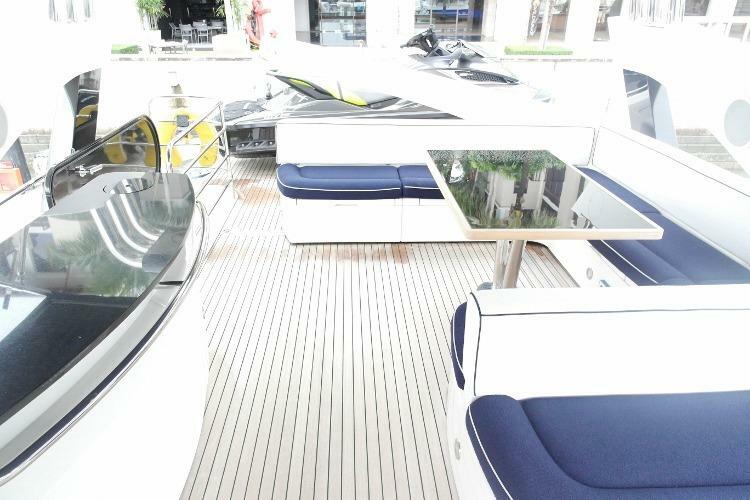 Outside, the vast outdoor playground was made for entertaining. 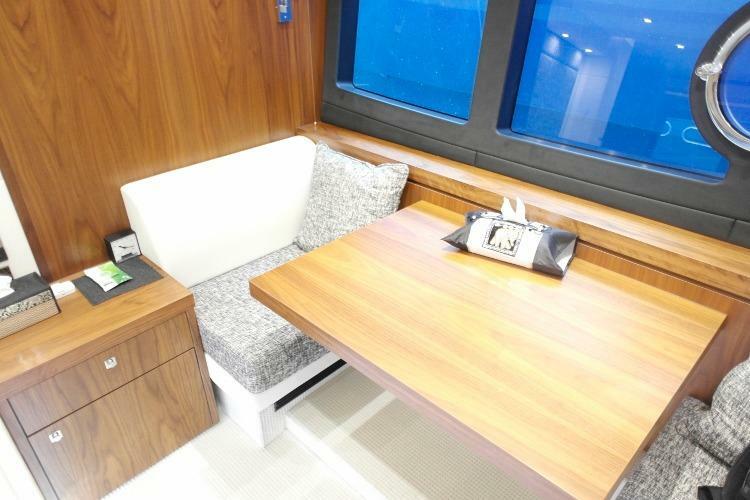 Complete with wetbar, sunpads and dining area, it’s the perfect space for relaxing in a secluded bay or enjoying that wind-in-your-hair experience at 32 knots – proving that sometimes, you can have it all. 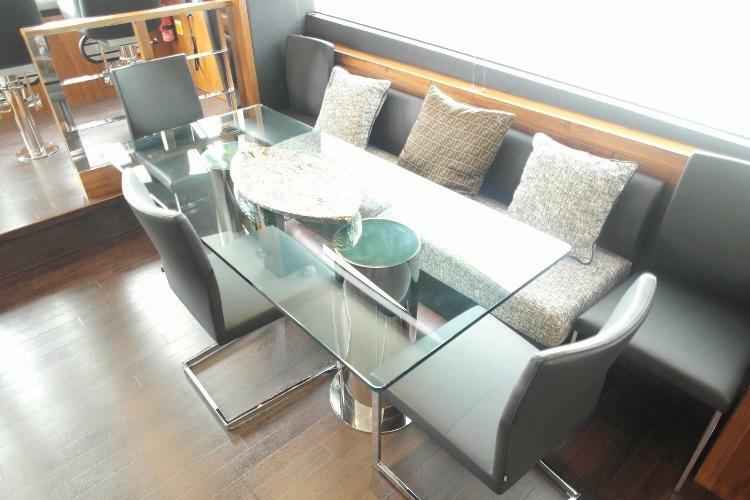 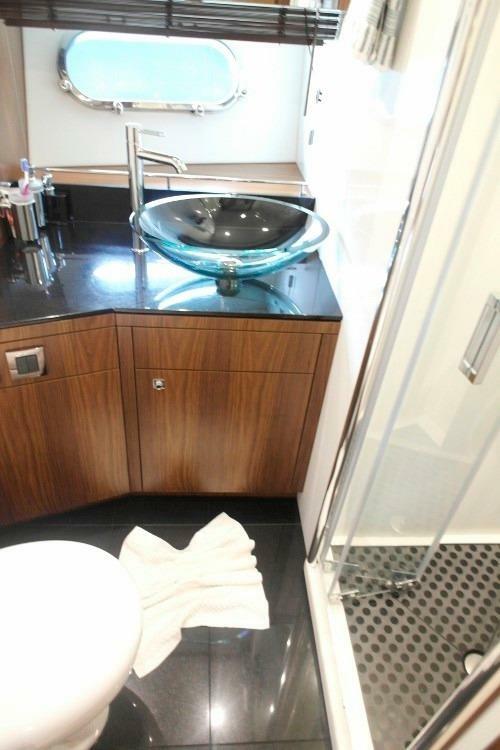 Contact us now to arrange a viewing. 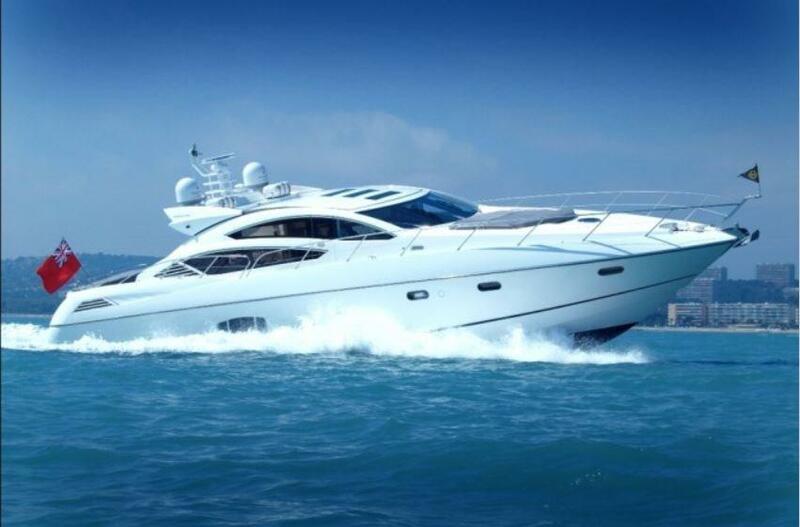 We are thrilled to have for sale this impressively appointed Manhattan 73 from the Sunseeker stable. 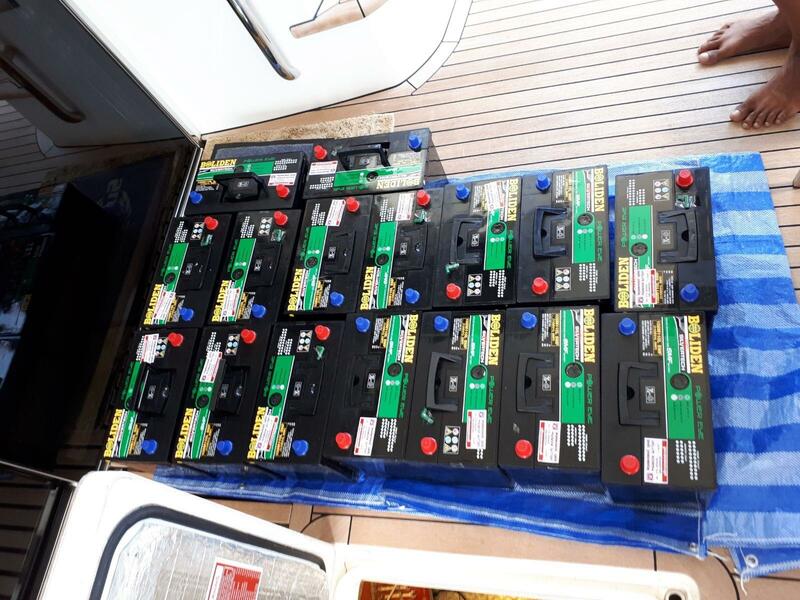 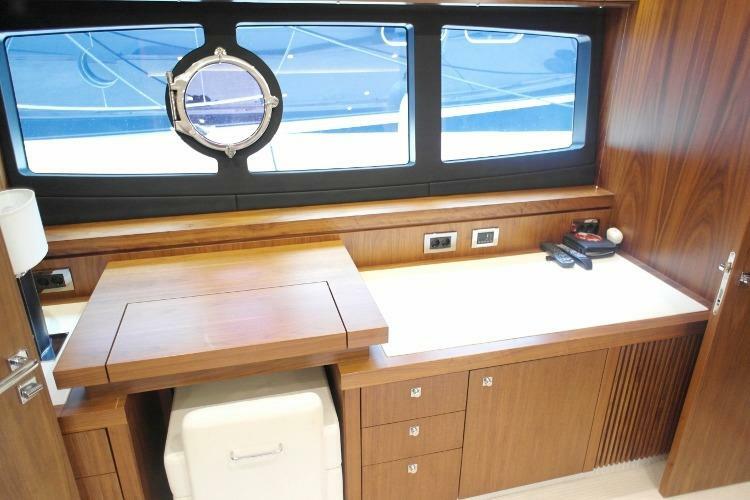 No expense was spared in drawing up this options list which include a hydraulic swim platform, bow and stern thrusters, stabilisers, tender and jetski, and a water maker too, to name a few. 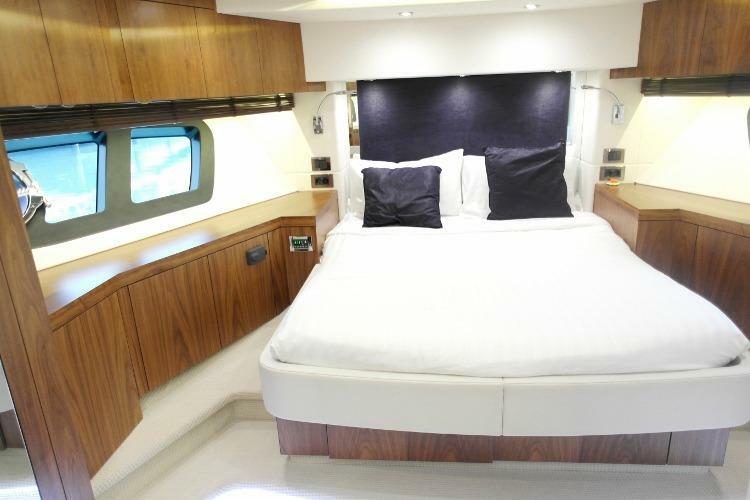 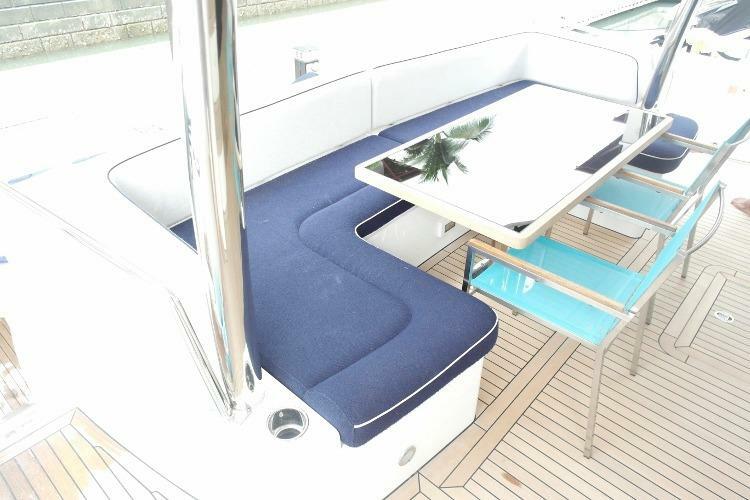 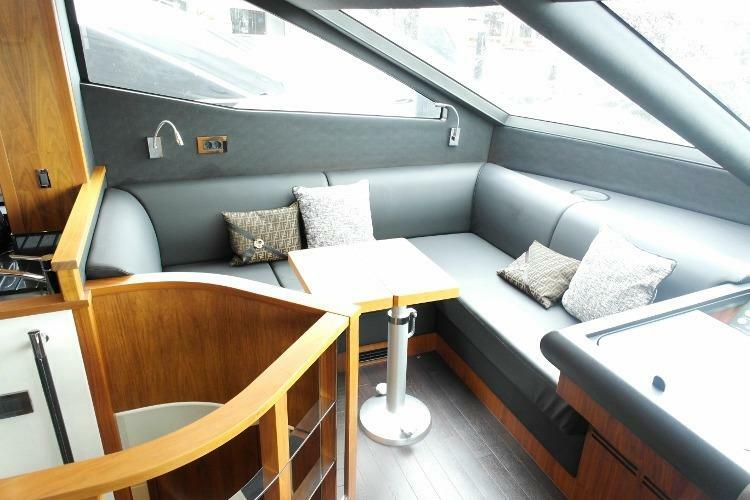 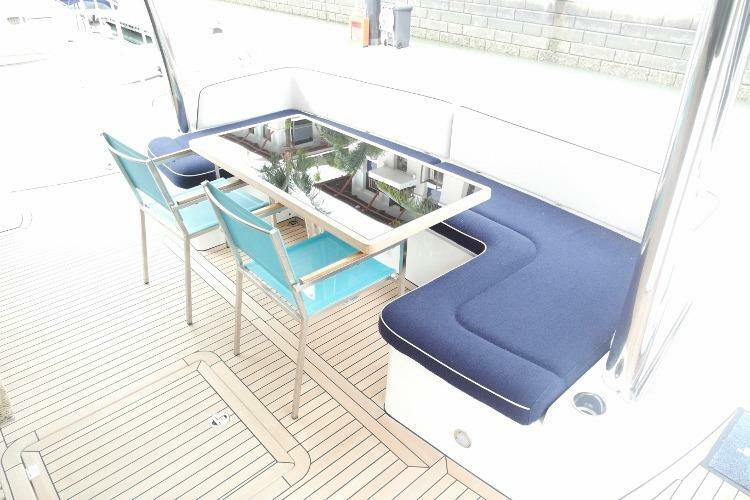 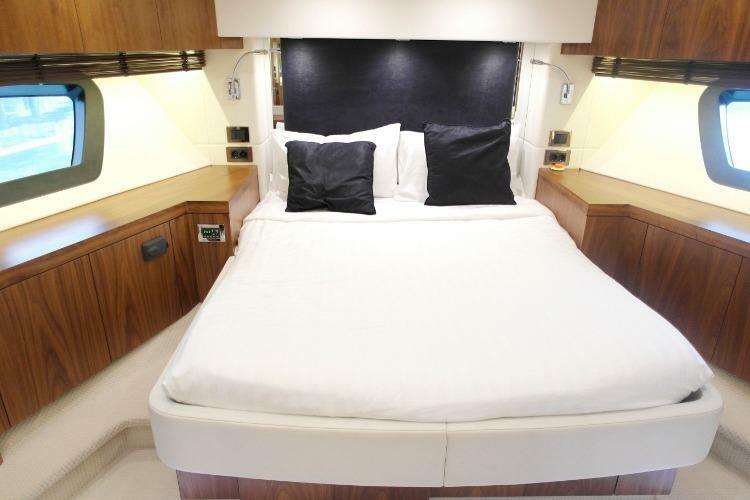 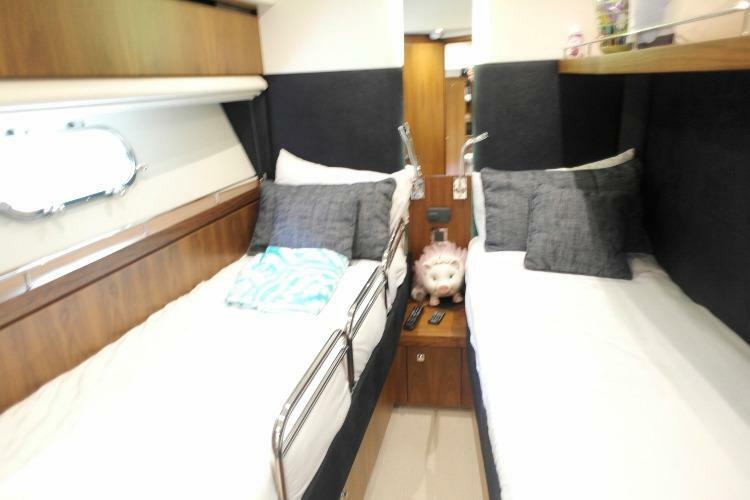 Her open-plan salon diner is a very nice touch along with very cleverly designed crew accommodation with additional galley, perfect for those times when you have guests on board and want preparations out of the way. 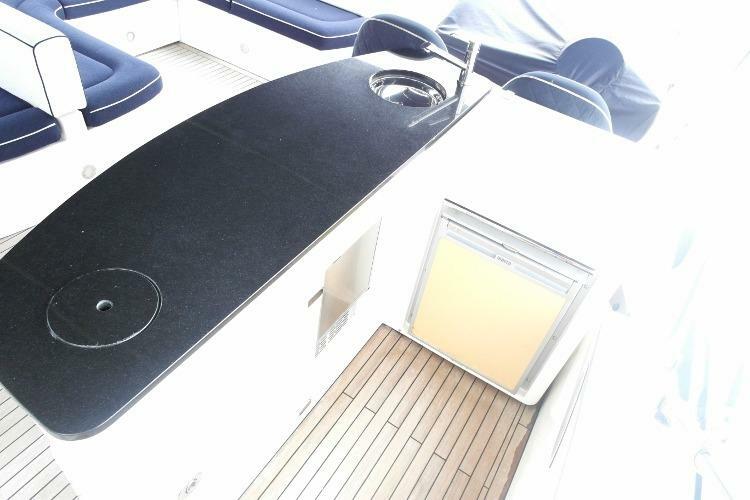 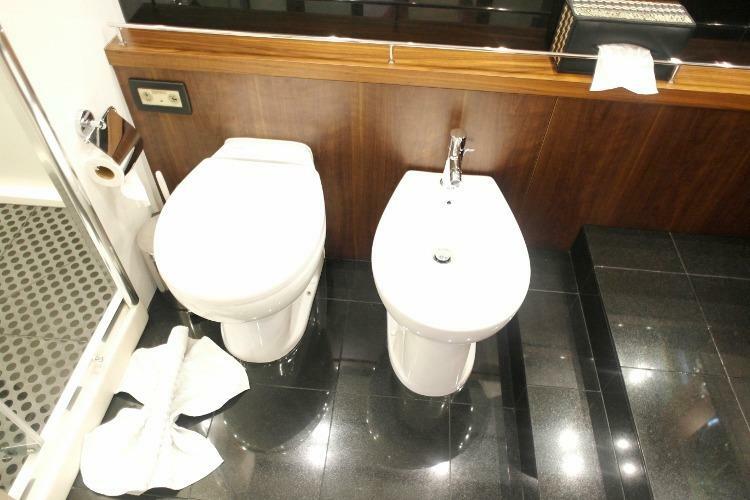 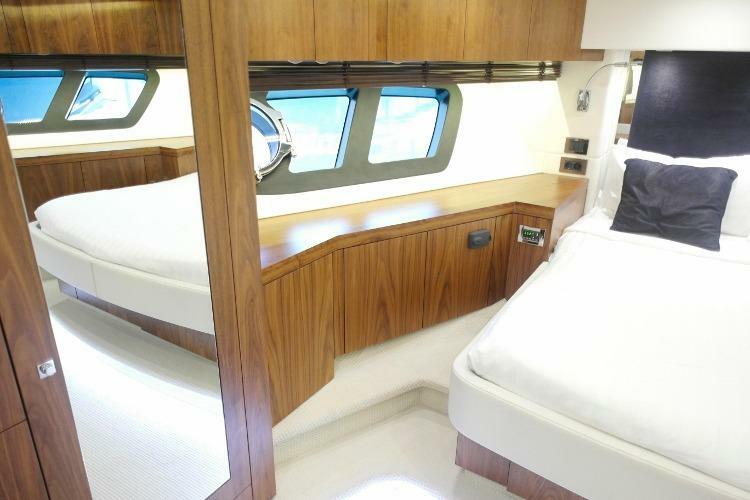 In addition to this, there are two very unique features on this immaculate 2013, 4 stateroom example. 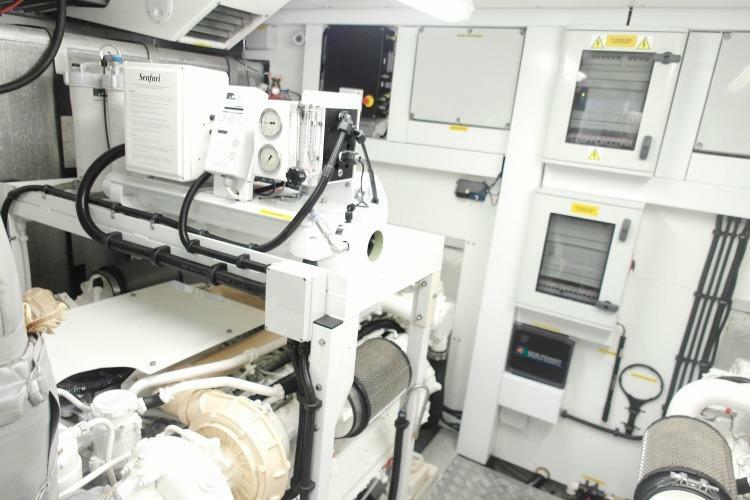 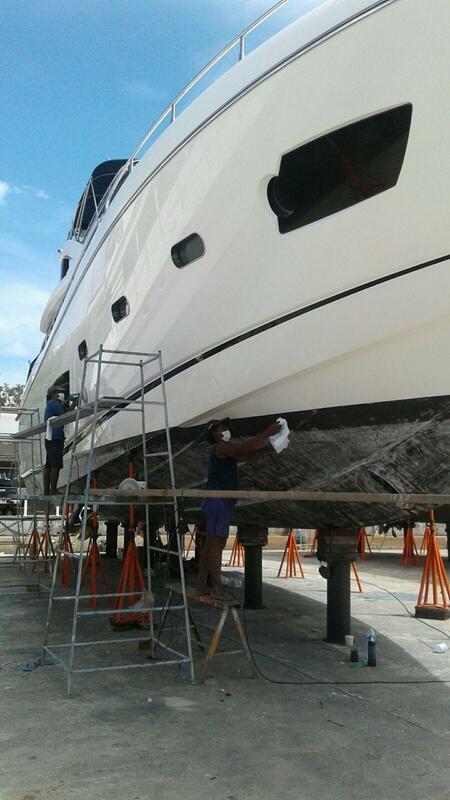 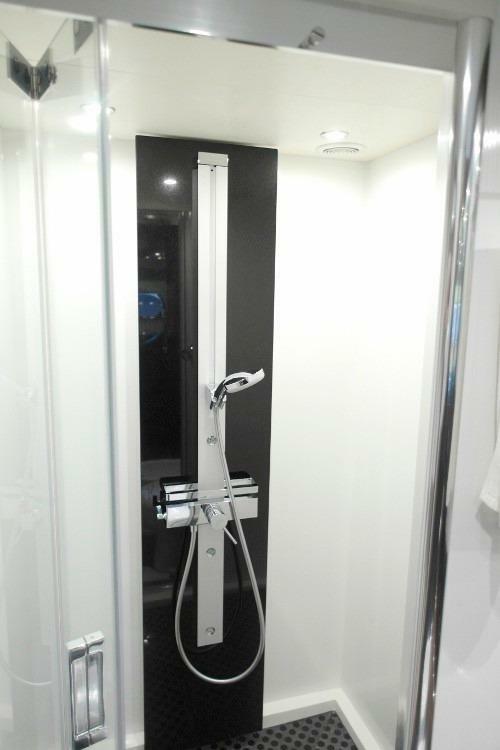 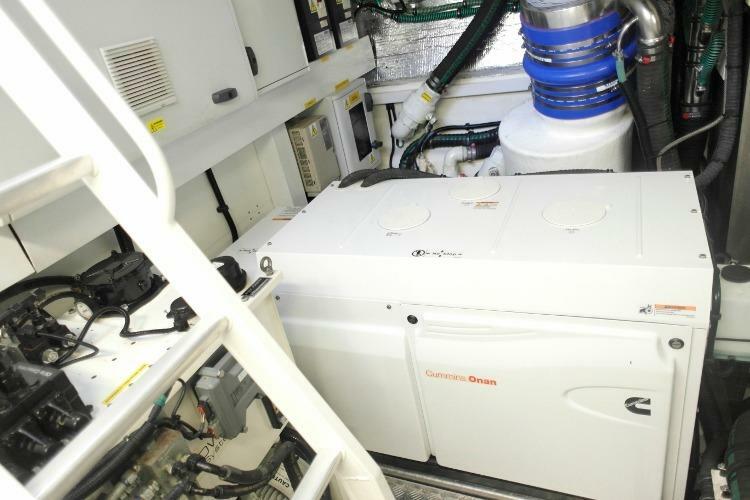 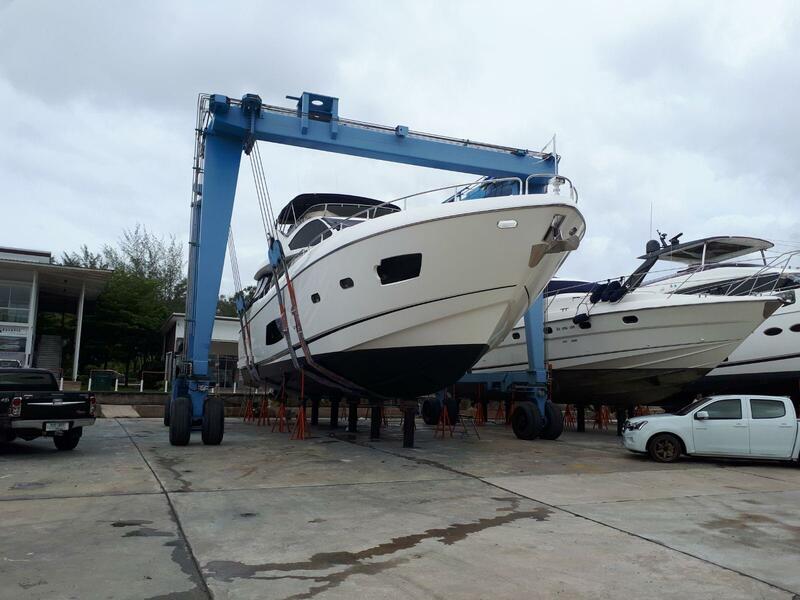 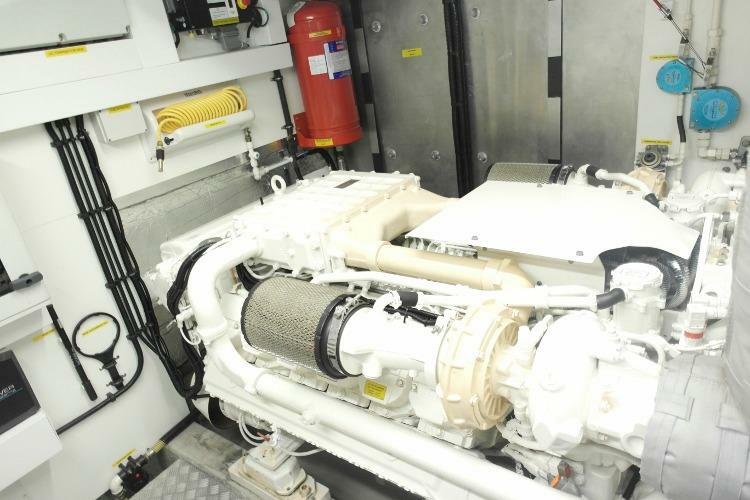 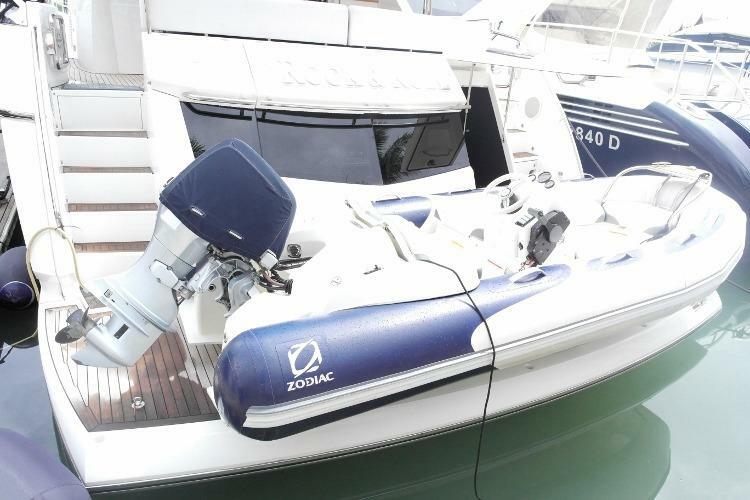 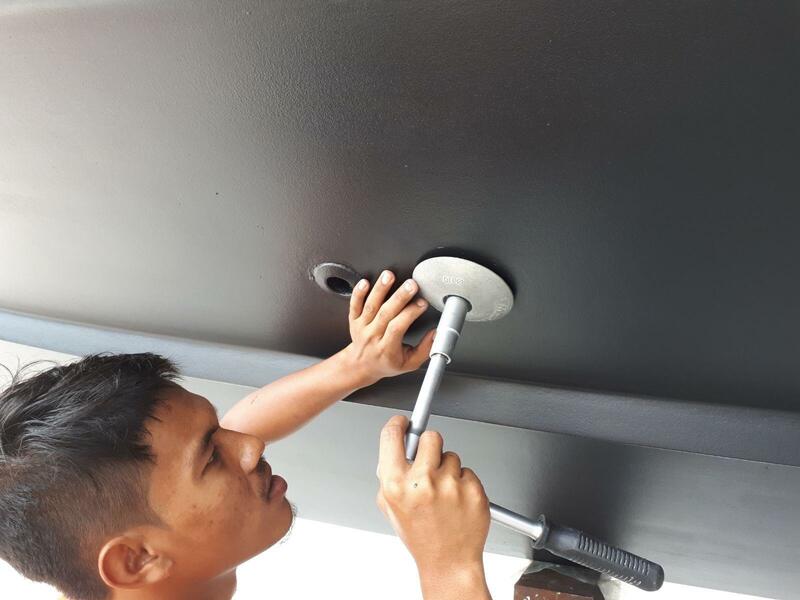 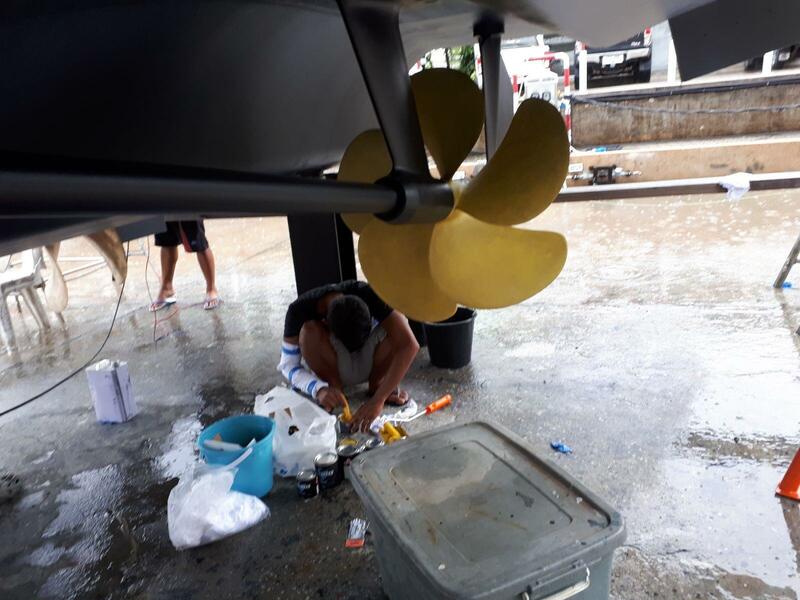 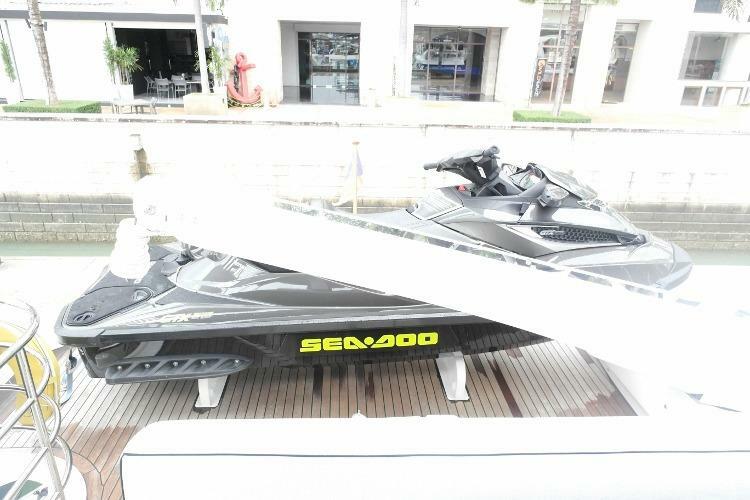 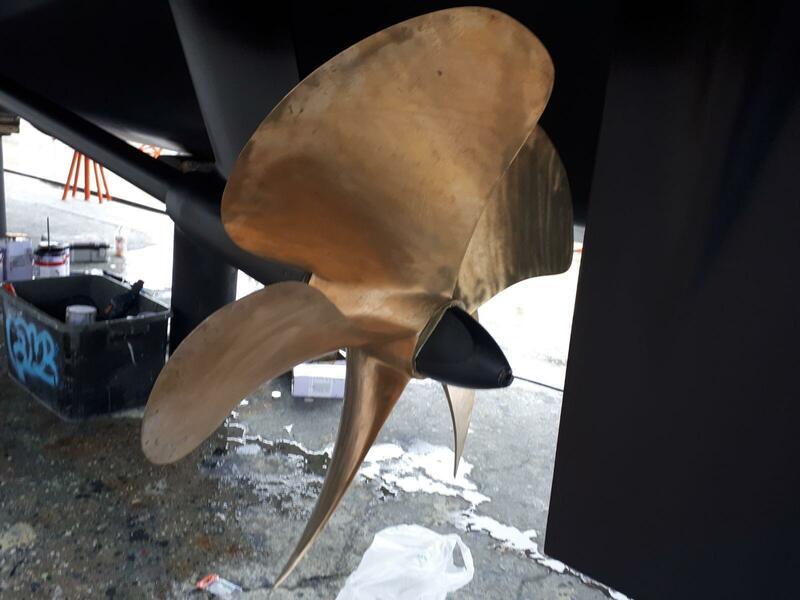 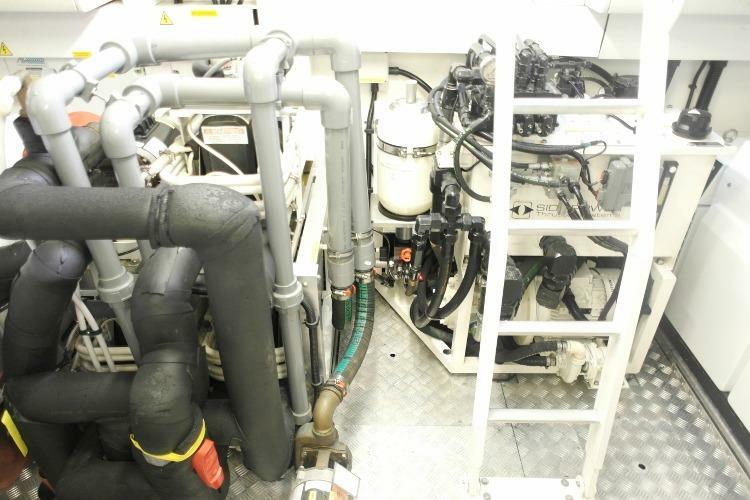 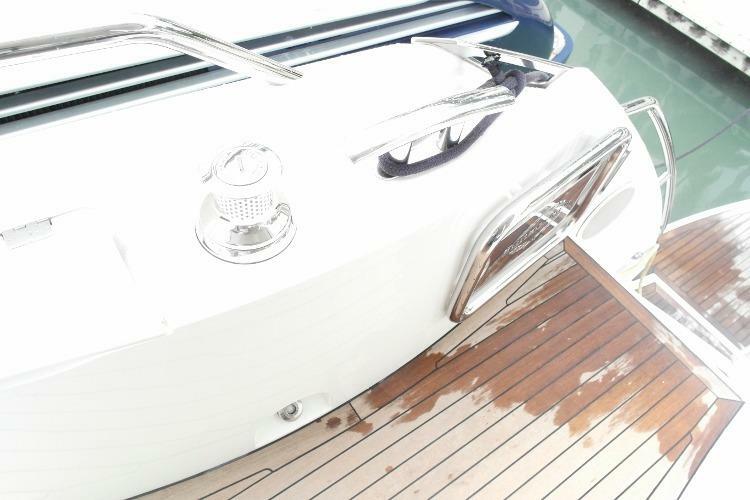 Firstly, she boasts a trailing pump system on her gearbox, a feature usually found on 30m+ Superyachts. 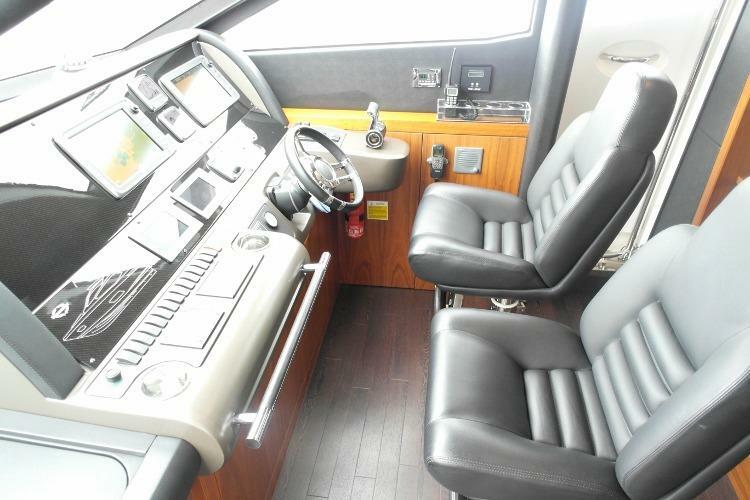 Developed to run with the MAN 1360hp V12’s, her range is significantly extended giving an impressive 27 ltr p/h fuel burn. 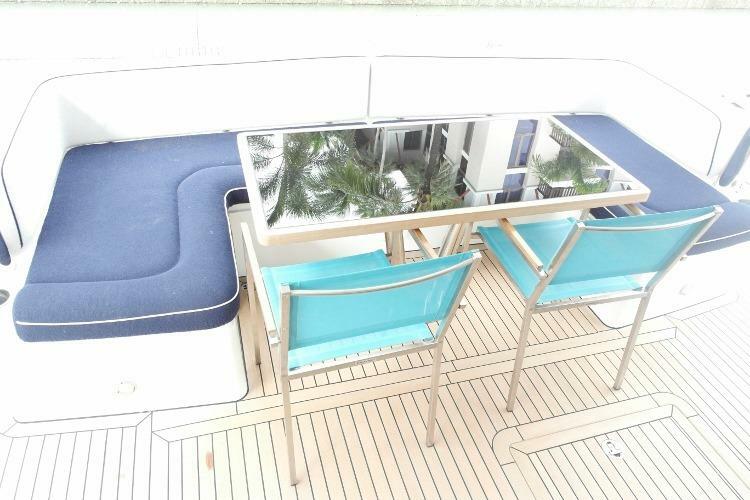 The second significant extra is that of the stabilizers, side-power Fin stabilizers which prevent your Champagne from spilling when there’s a bit of a swell. 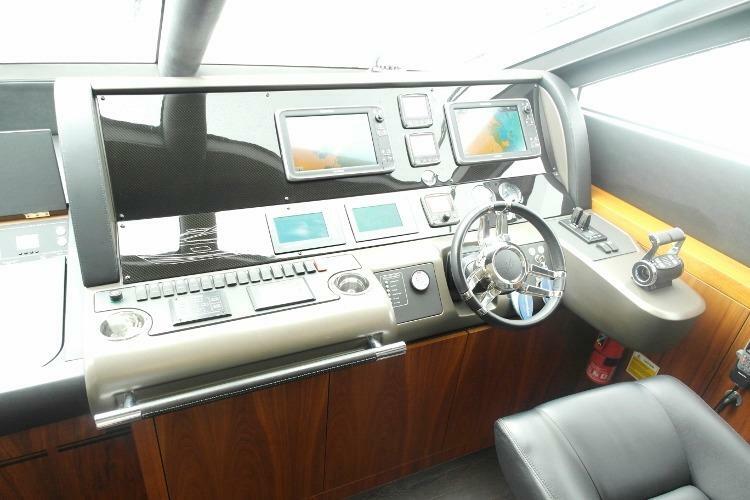 This is a very special Yacht and a classic case of “seeing is believing”. 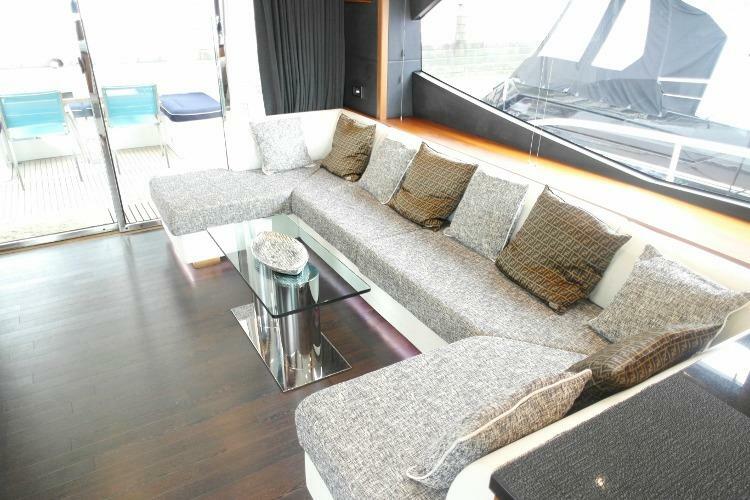 She’s available for viewing now so contact us without delay to arrange. 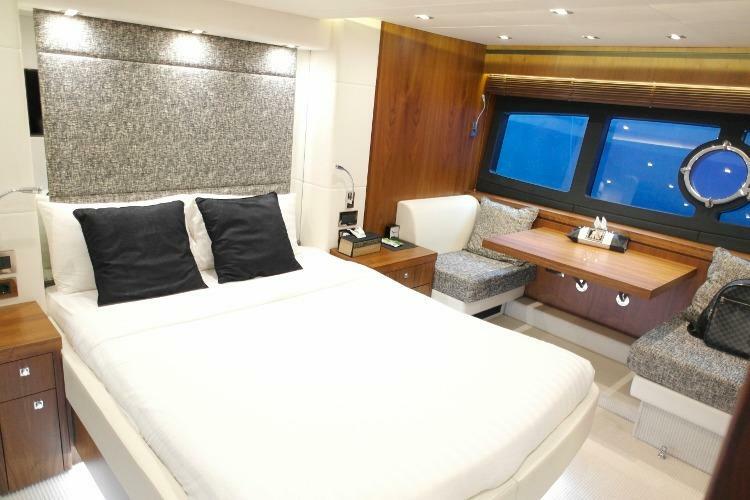 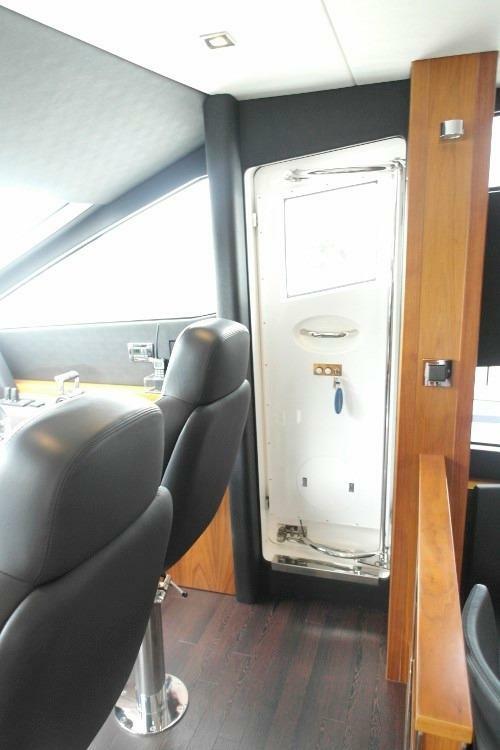 This four stateroom example accommodates 8 guests in the utmost luxury. 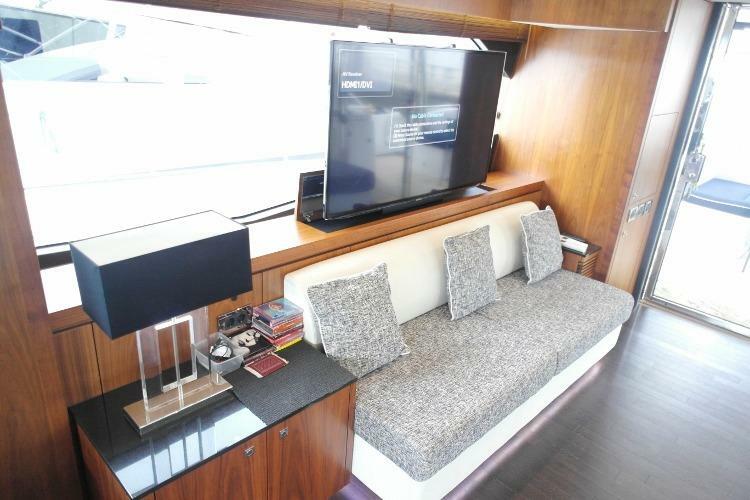 Three double suites and the one twin cabin are all beautifully appointed courtesy of Armani Casa and perfectly combine innovation in technology and style. 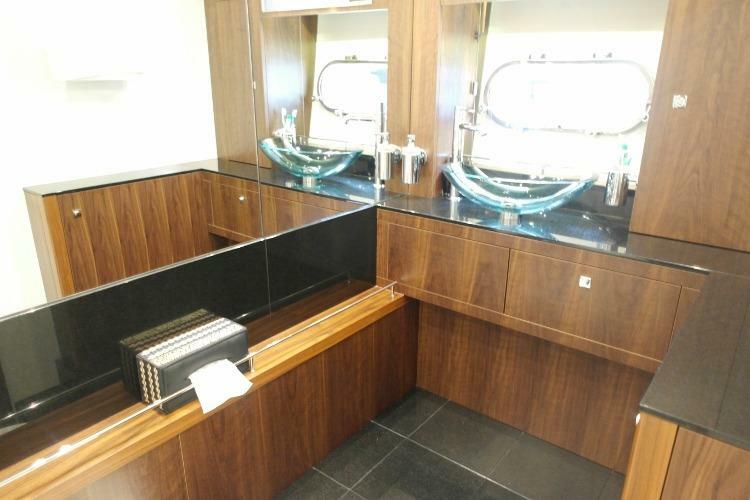 Her Salon was custom designed too to feature a spacious open-plan layout. 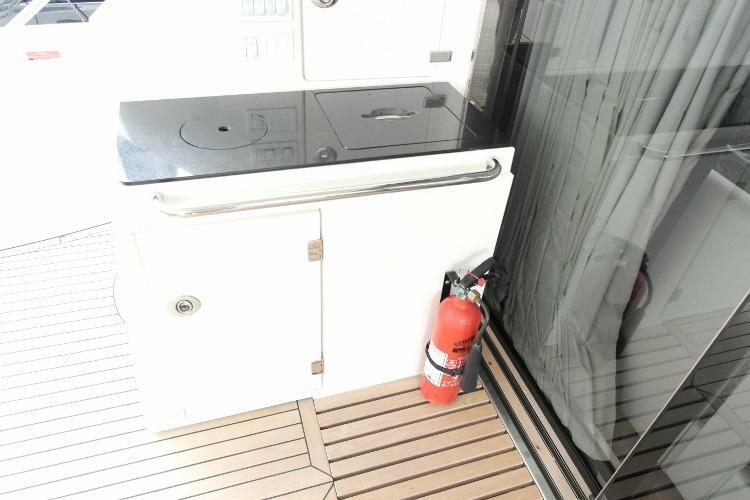 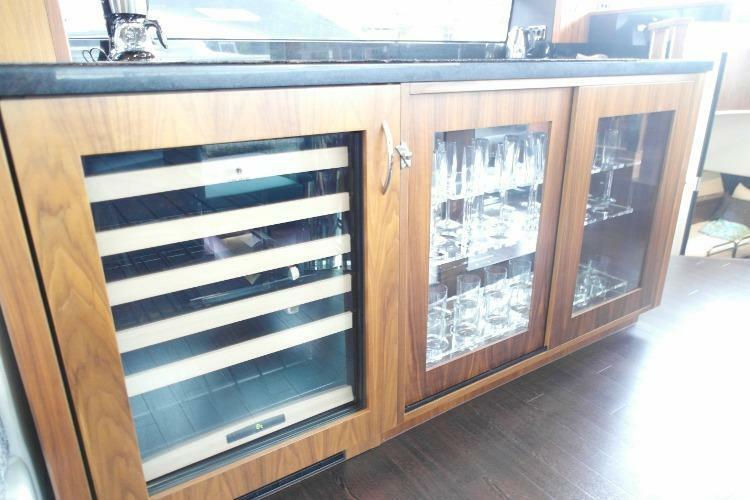 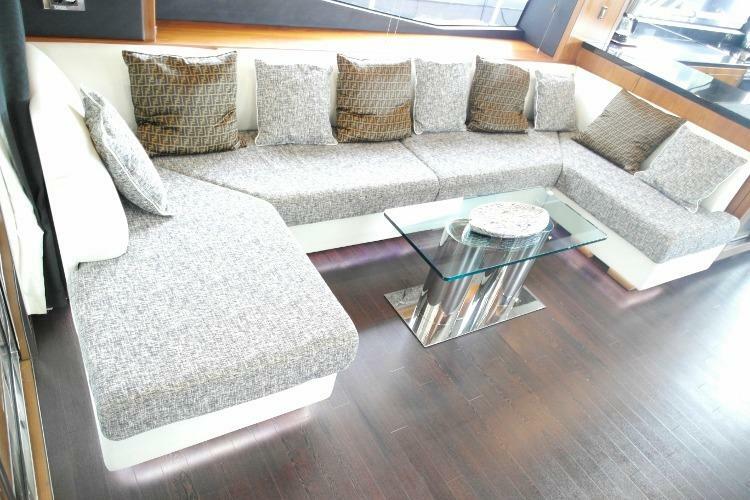 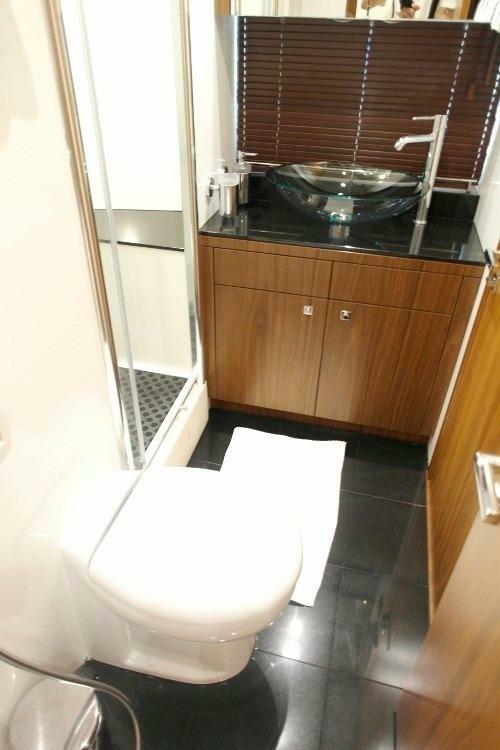 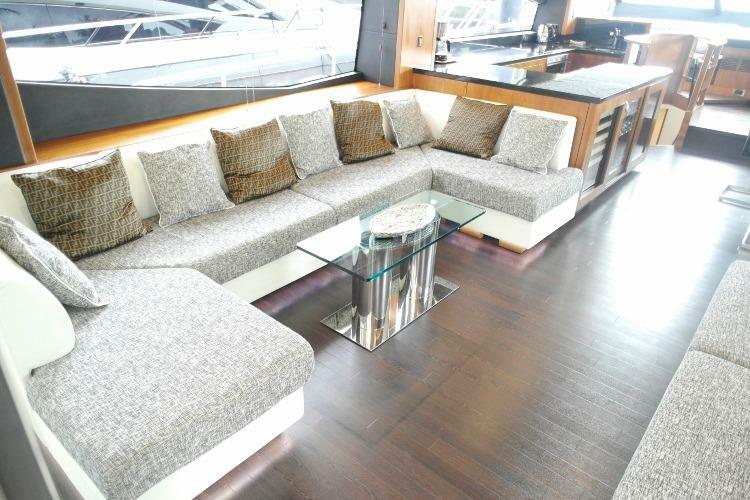 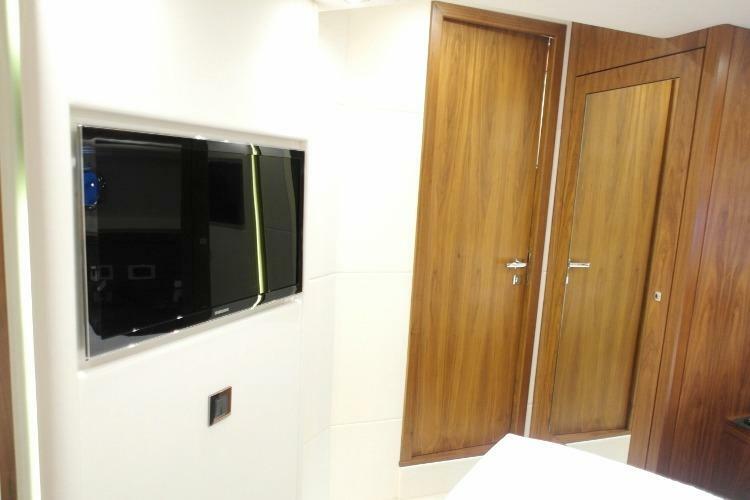 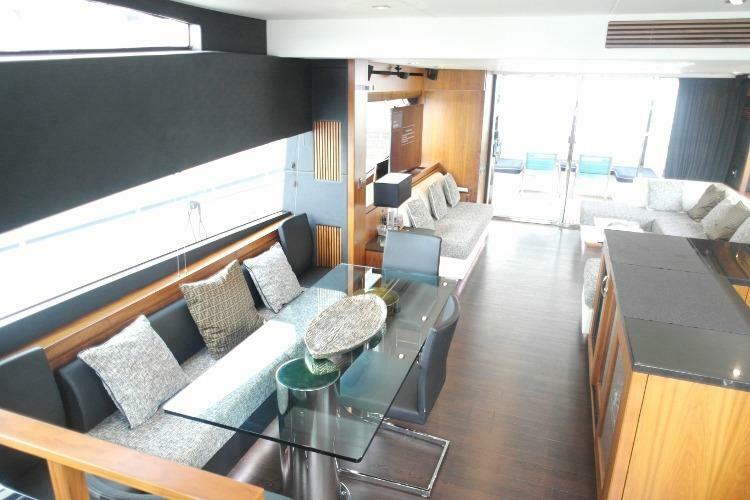 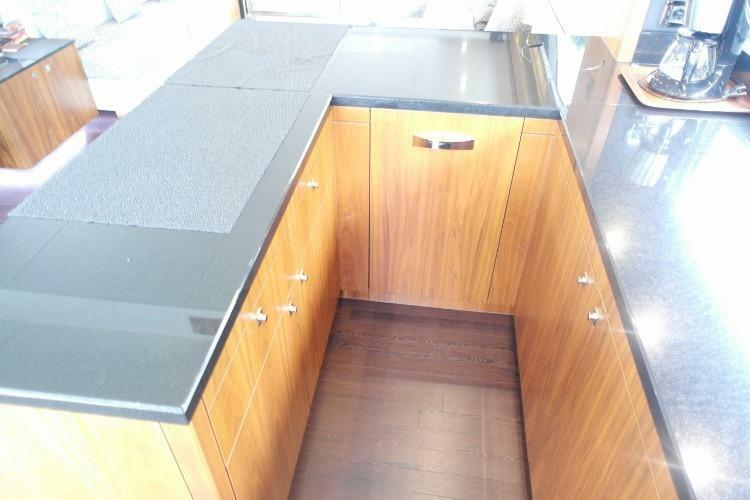 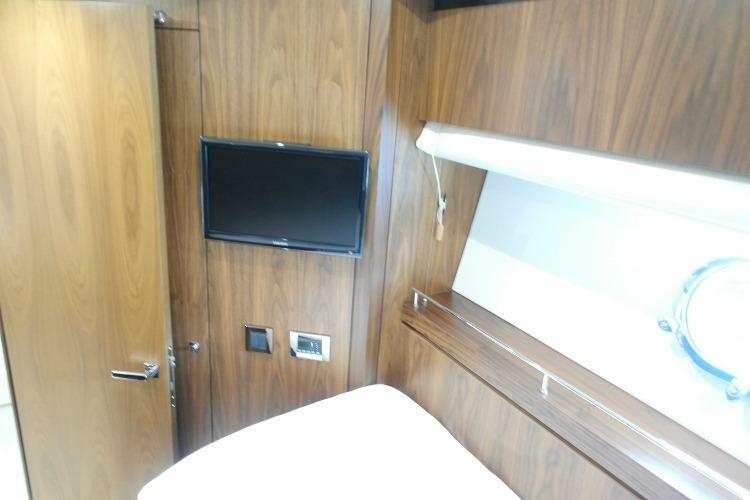 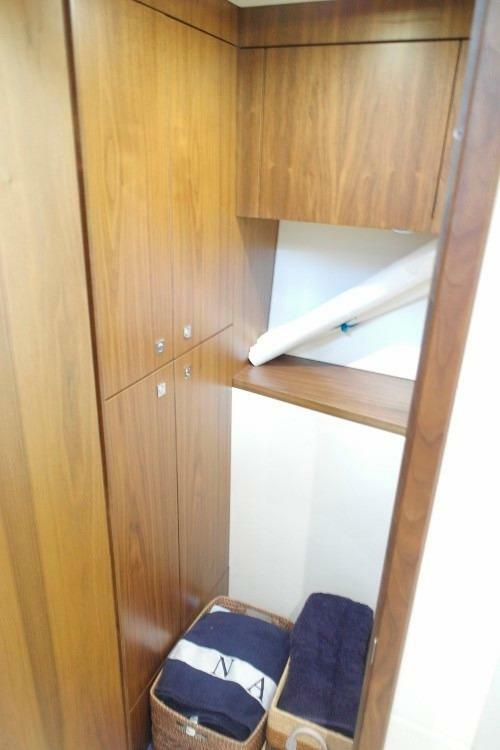 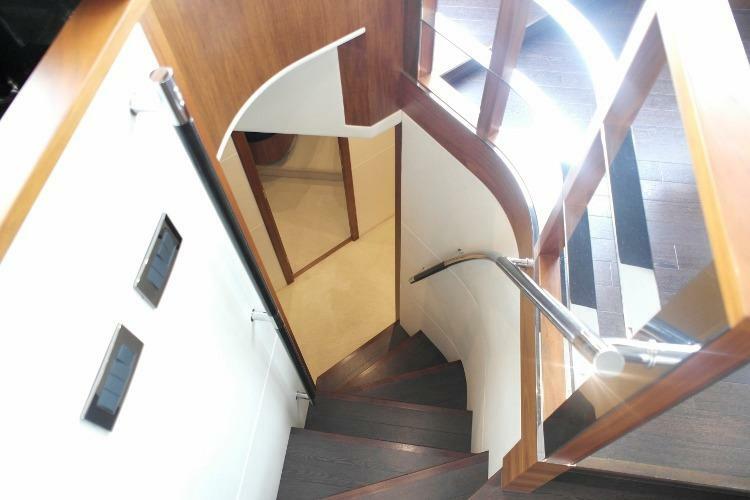 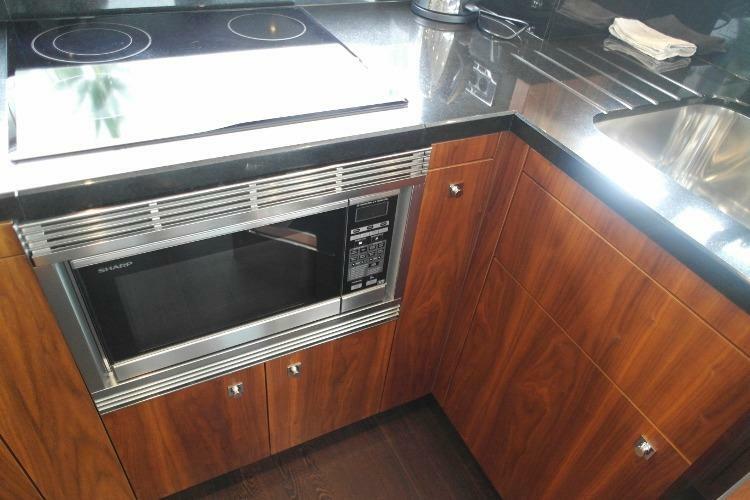 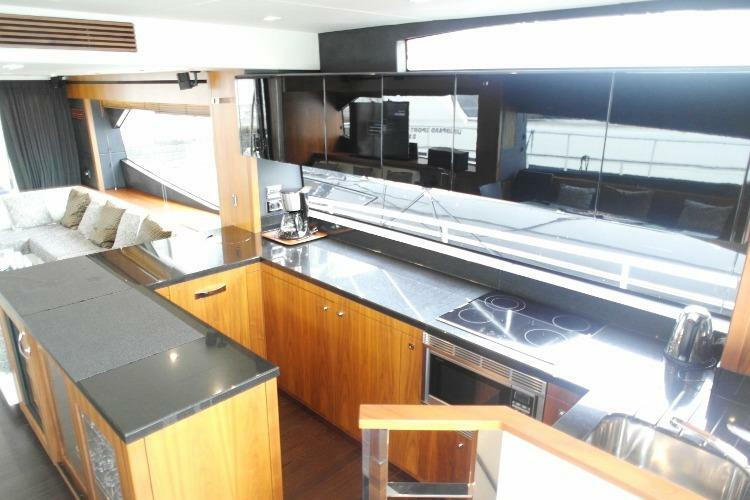 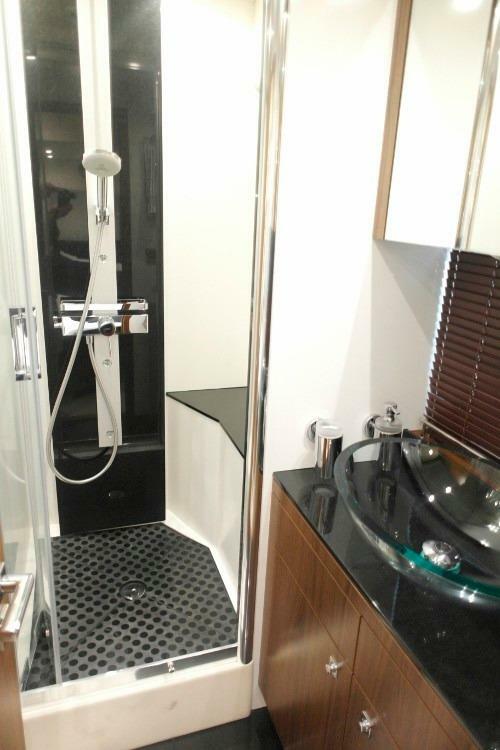 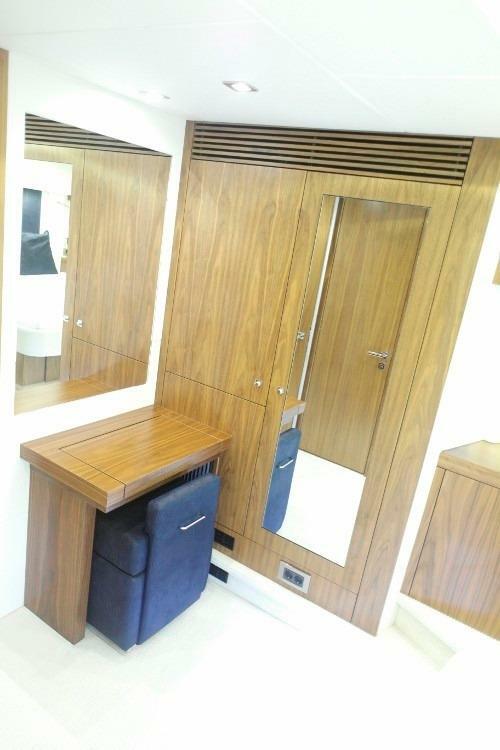 Even her crew accommodation boasts it's own second, full galley testimony to her owners attention to detail. 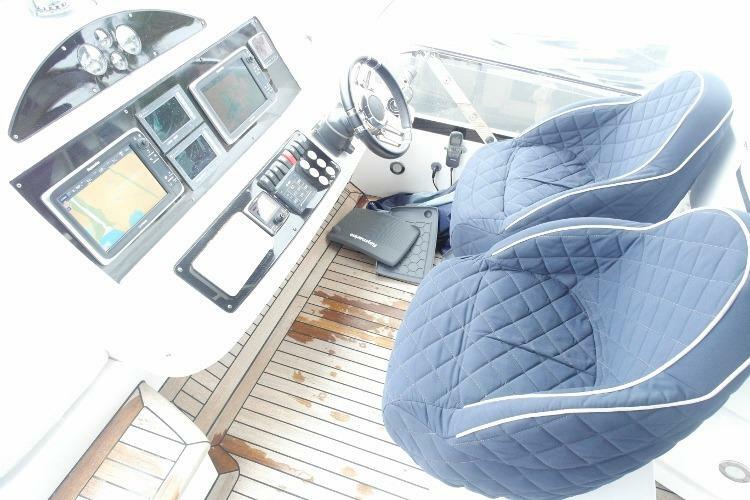 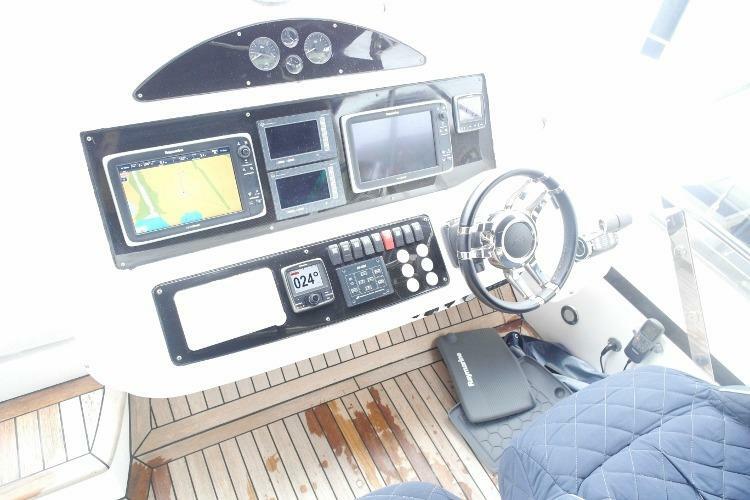 All repeated to the Flybridge Helm.